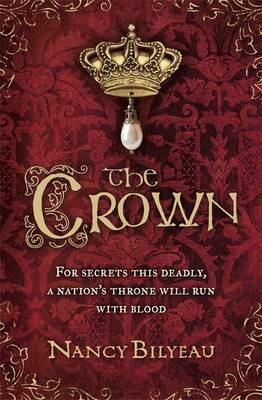 *Shortlisted for the 2012 CWA Ellis Peters Award* London, May 1537: When Joanna Stafford, a young novice, learns her cousin is about to be burned at the stake for rebelling against Henry VIII, she makes a decision that will change not only her life but quite possibly, the fate of a nation. Joanna breaks the sacred rule of enclosure and runs away from Dartford Priory. But when Joanna and her father are arrested and sent to the Tower of London, she finds herself a pawn in a deadly power struggle. Those closest to the throne are locked in a fierce fight against those desperate to save England's monasteries from destruction Charged with a mission to find a hidden relic believed to possess a mystical power that has slain three Englishmen of royal blood in the last 300 years, Joanna and a troubled young friar, Brother Edmund, must seek answers across England. Once she learns the true secret of her quest, one that traces all the way back to Golgotha and the Relics of the Passion, Joanna must finally determine who to trust and how far she is willing to go to protect her life, her family and everything she holds dear.